So how do you actually go about building carbon in soil? The importance of building organic matter and carbon in soils has been widely explored in other case studies and motivations on this website. This article will be focussed on the carbon cycle and how to go about building carbon in soils on dairy pastures. The concept of biological farming has become prevalent in recent years, encouraging farmers to focus on restoring the biological health, or life, of their soils. This leads to natural processes of nutrient cycling, which are beneficial to the farmer. Healthy soil means that the agroecosystem does not need to rely on external input of nutrients to function and thrive. 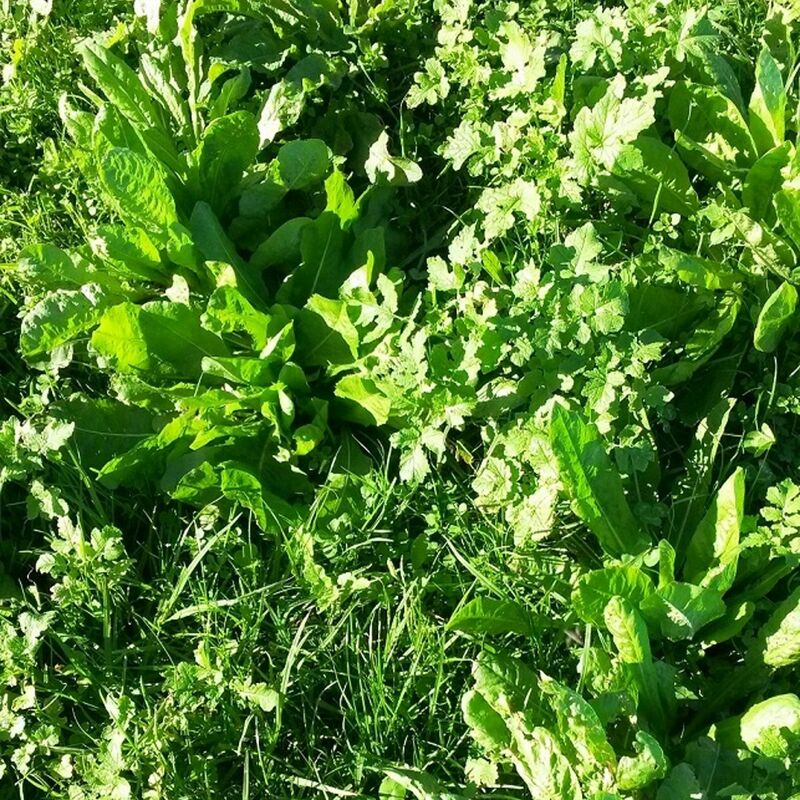 The purpose of this article is not to advocate for, or comprehensively explore, biological farming, but rather focusses on how to practically go about building carbon in pasture soils. Biological farming is mentioned though, as many of the principals and practices referred to in this article are the same as those mentioned in many biological farming literature. 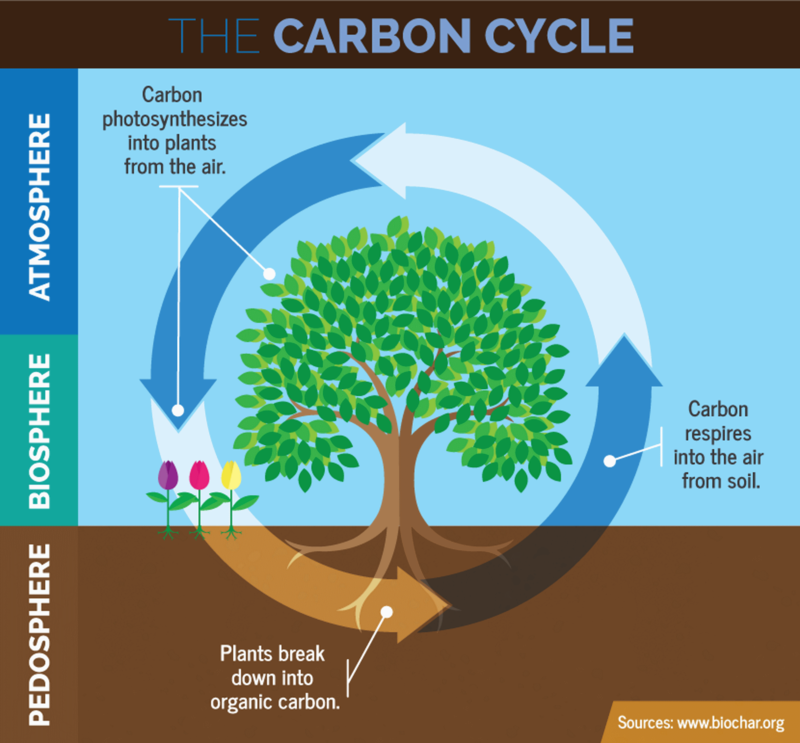 In order to fully understand how to build carbon in the soil, it is important to understand how carbon is naturally cycled through soil (pedosphere), living organisms (biosphere) and air (atmosphere) – the carbon cycle shown below. Carbon is stored in various forms in these spheres. Carbon is also cycled through these spheres, changing in form between one or another sphere. For example, carbon, which is stored as carbon dioxide in the atmosphere, is used by plants during photosynthesis and becomes stored as various sugars within plants in the biosphere. Carbon which is stored in each of these spheres is referred to as a pool or sink. Due to many human practices in recent years, a large majority of carbon which had previously been stored in the pedosphere, lithosphere and biosphere sinks has been converted to carbon dioxide in the atmosphere. In order for this carbon, in carbon dioxide, to be transferred back to soil carbon it first needs to be removed from the atmosphere through the process of photosynthesis. 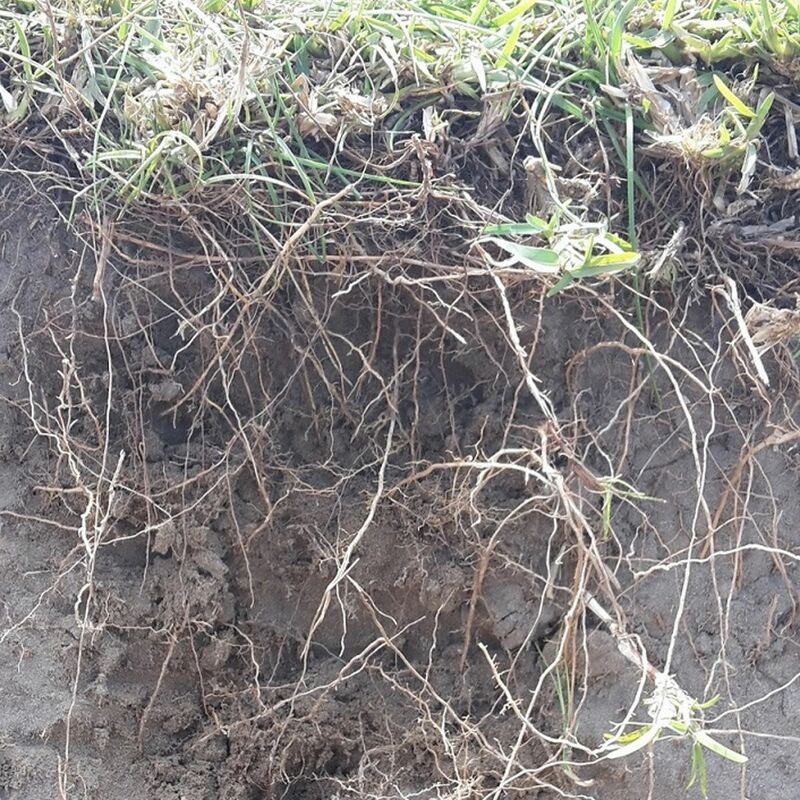 The carbon in plants is then transferred to the soil when plant roots and vegetation die and are incorporated into the soil by microorganisms in the soil. These microorganisms break down the carbon in plant material, stored as sugars, into humus, which is the form of carbon stored in the soil. In order to build carbon in soils, it is necessary to facilitate and encourage the processes described above. It is also important to ensure that the carbon which is currently stored in the soil is not lost to the atmosphere in any way. Through implementing the practices mentioned above, carbon will be moved from the atmosphere to the soil, which has great potential to be a carbon sink. It will also ensure that the carbon which is currently stored in the soil sink is not lost back into the atmosphere. Should farmers concern themselves with biodiversity conservation? Carbon footprint of a farm, why does it matter?